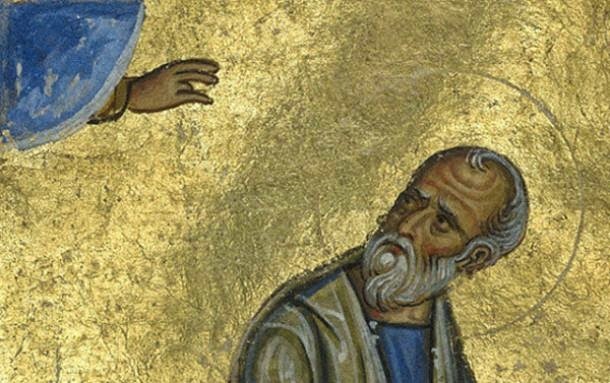 The Getty Museum is returning a 12th century illuminated New Testament to the Monastery of Dionysiou on Greece's Mount Athos after it came to light that it had been illegally removed from the monastery more than 50 years ago. 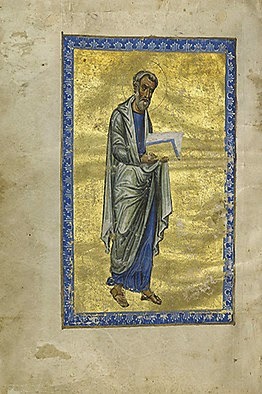 The treasured manuscript is currently being displayed at the Getty Center in Brentwood as part of the exhibition "Heaven and Earth: Byzantine Illumination at the Cultural Crossroad" and will be returned at its conclusion in June. The exhibition features ancient texts and works of art belonging to the Byzantine Empire (330 – 1453 AD), which was greatly admired for its courtly splendour and rich visual arts. 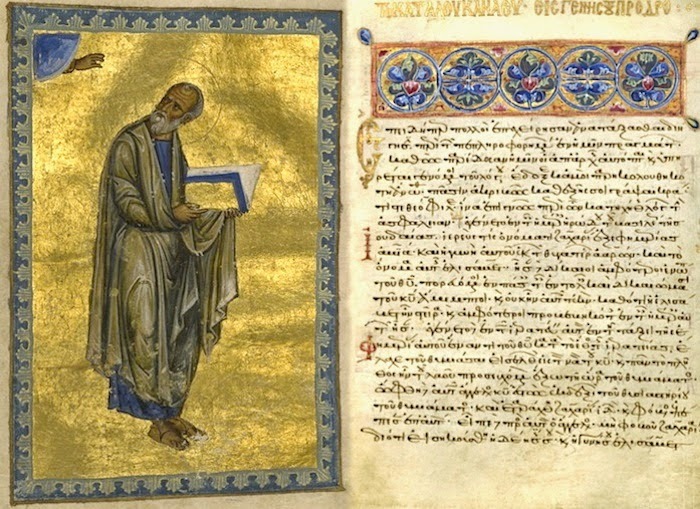 Inspired by the legacy of Greco–Roman antiquity, Byzantine manuscript painters in Greece and Asia Minor are noted for their prominent use of gold, a striking sense of naturalism, and a distinctive spiritual character. Officials at Getty said that the museum acquired the manuscript in 1983 as part of a "large, well-documented" collection and were unaware of its illegal status. However, during research into the manuscript conducted alongside the Hellenic Ministry of Culture and Sports, a 1960 monastery record was discovered, which indicated that the book had been illegally removed. "Based on new information that came to light through this process, the museum decided that the right course of action was to return the manuscript to the Holy Monastery of Dionysiou from which it disappeared over 50 years ago," said Timothy Potts, director of Getty Museum. Founded in the fourteenth century by St. Dionysios of Koreseos, the Dionysiou Monastery is one of the twenty monasteries located on the peninsula of Mount Athos in north-eastern Greece. 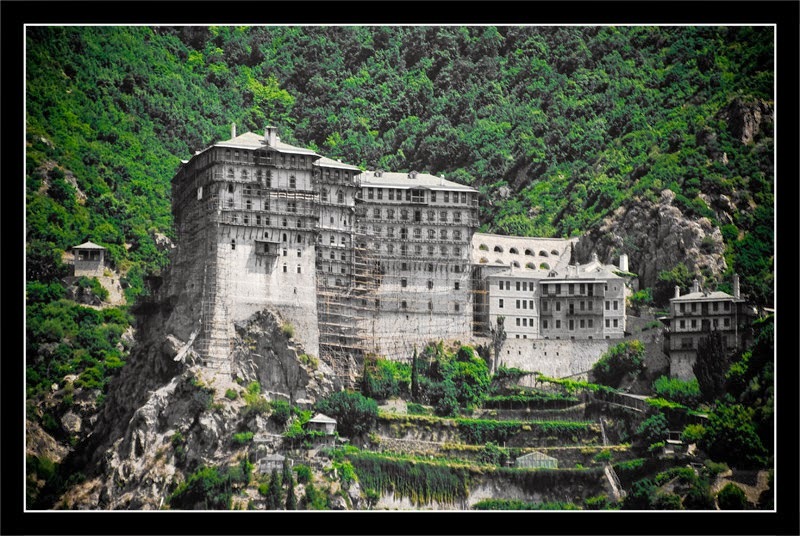 Mount Athos, also known as “Holy Mountains” is a World Heritage Site and an autonomous polity in the Hellenic Republic. According to legend, Mount Athos was formed when Athos, the name of one of the Gigantes that challenged the Greek gods during the Gigantomachia, threw a massive rock against Poseidon which feel in the Aegean Sea. It is believed that monks have inhabited the island since the 3rd century AD. Upon its return, the 12th century New Testament will join the well-organised monastery library, which includes 804 codices, more than 5,000 old printed books, and an illuminated Gospel from the 13th century.